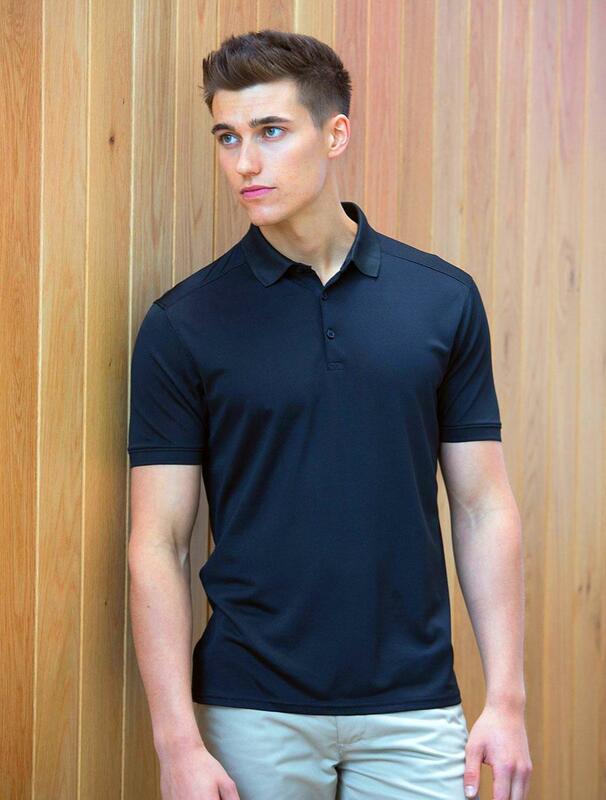 Polyester Wicking polo with Elastane for added stretch. 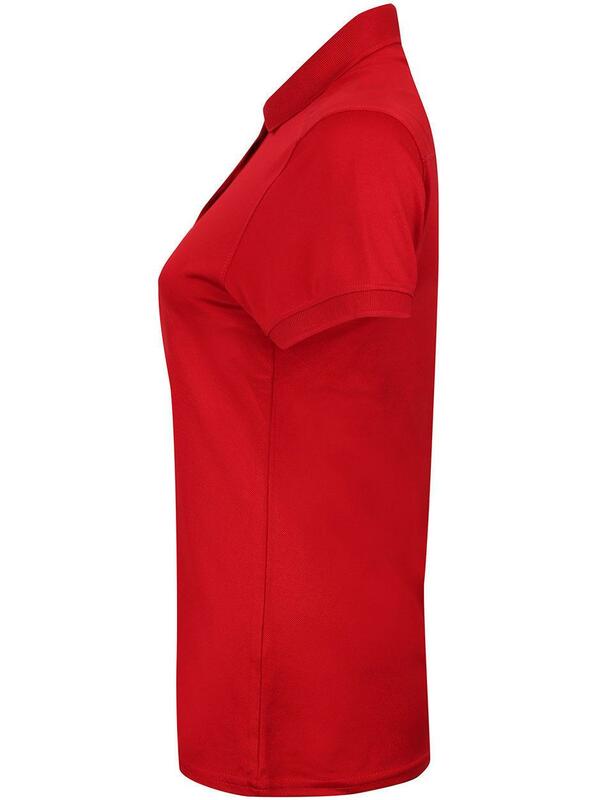 This technical fabric draws moisture away from the body keeping you cool and dry. 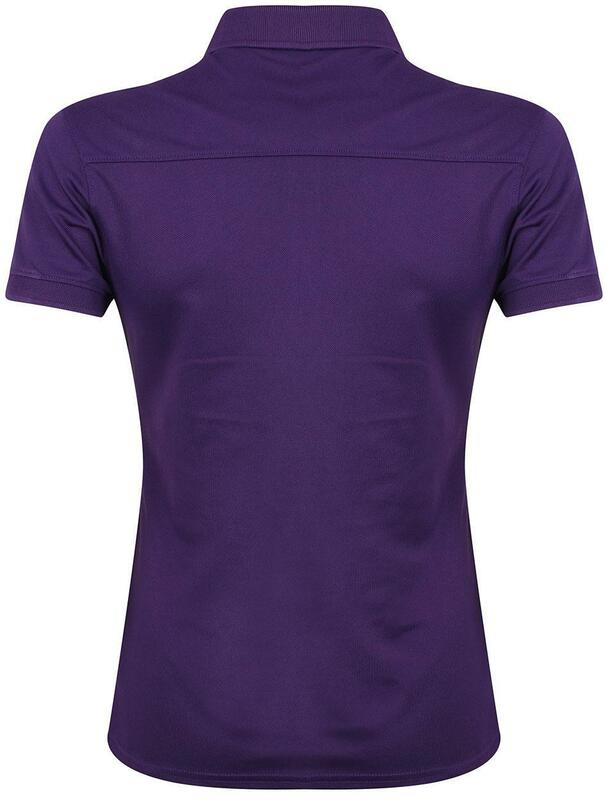 This silky smooth fabric is incredibly comfortable to wear. 98% Polyester/ 2% Elastane. 180gsm. Flat knit collar. 3 button placket, Dyed to match buttons. Front and back shoulder detail. Wash at 40 degrees synthetic. Do not use fabric softener.